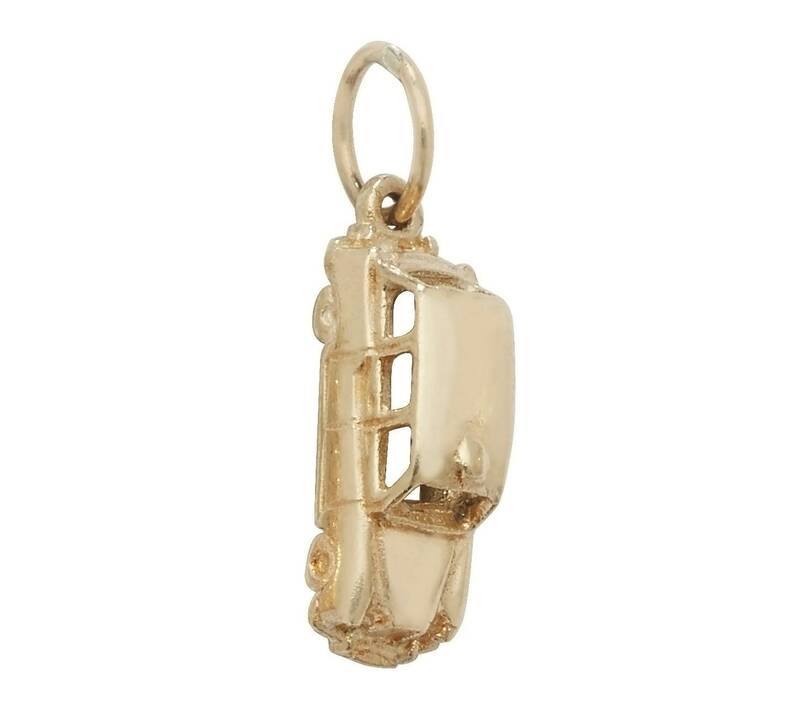 Solid 9ct yellow gold London taxi charm pendant. Size 1.5cm H x 0.7cm W (excluding loop). Loop size 5mm diameter.